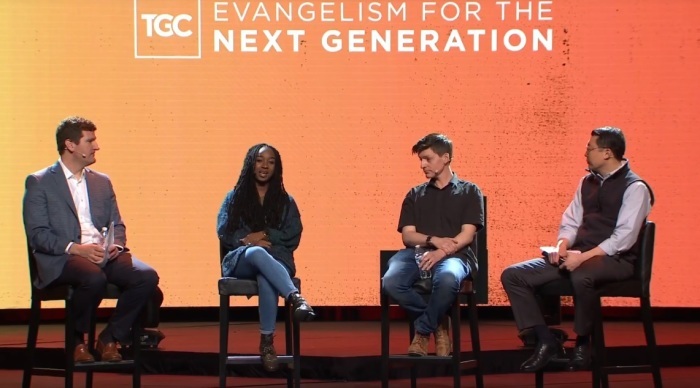 A panel of experts on evangelizing the rising generation and the millennial generation believe that issues like “comfort,” “narcissism” and “doubt” are the biggest challenges in reaching young people. “The dangers of narcissism are just huge, especially in a social media age and especially for younger people,” said Glen Scrivener, an Australian evangelist and director of the ministry Speak Life who works in the United Kingdom. He pointed out that in the original Narcissus myth, the main character was in love not just with himself but also the image of himself. Scrivener was part of a panel titled “Youth Are Not the Future: The Urgent Task of Evangelism Today" at The Gospel Coalition conference in Indianapolis, Indiana, on Monday. He was responding to a question posed by Cameron Cole, director of children, youth, and family at the Cathedral Church of the Advent in Birmingham, Alabama, and moderator for the panel, on “some of the most common idols” that prevent young people from becoming Christian. “As we talk about trying to lead kids to Christ, we often see that there are idols that they cling to that they don’t want to let go of in order to surrender themselves to the Lordship of Jesus,” said Cole. Scrivener connected the curated imagery that people put on social media to the prizing of “authenticity” in digital media and the culture. “This age is so hungry for authenticity and maybe it’s because we’re all fronts, we are all show, we’re all taking the selfie 17 times and putting the filter on it and getting it out there,” he stated. “Having all these questions of the text, which you should have, having all these questions of Jesus, which you should have, but when you get some type of resolve or some type of answer, now you have a question of the answer,” continued Perry. 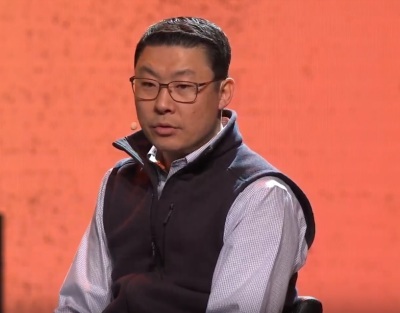 Stephen Um, senior minister of Citylife Presbyterian Church in Boston, Massachusetts, and the president of the Center for Gospel Culture, answered that he found “comfort” to be an “idol” for young people. “They refer to ‘harm,’ even if it’s not real harm. They will respond to perceived harm and they’ll say ‘I don’t feel safe in this setting,’” said Um. According to a 2018 report by The Barna Group, 35 percent of Generation Z teenagers identify as atheist, agnostic or religiously unaffiliated. By contrast, 30 percent of Millennials, 30 percent of Generation X and 26 percent of Baby Boomers said the same. In this secular age where more people are becoming "nones," Perry isn't discouraged. She feels more encouraged that people are being honest about their beliefs or nonbeliefs and it makes it easier for her to minister to such people. Scrivener also doesn't believe Christians should feel "cowed" by statistics, especially because those who are outspoken atheists do not represent the rest of the unaffiliated. "Just talk to your neighbor," he advised. "They're wondering what life is about. Don't get too worried about the cultural trends. Jesus said love your neighbor. So turn to your neighbor and you'll find that they have spiritual needs." This year's Gospel Coalition conference is themed "Conversations with Jesus" and is focused on the commitment to evangelize. The event, which ends Wednesday, can be streamed online.